Greenaway Skinny Bookcase, Cloud Grey | Great Little Trading Co.
Measurements: 118H x 50W x 12D (cm). Lower shelf: 32H x 11D (cm); upper shelves: 24H x 11D (cm). Self assembly required: Download instructions here. 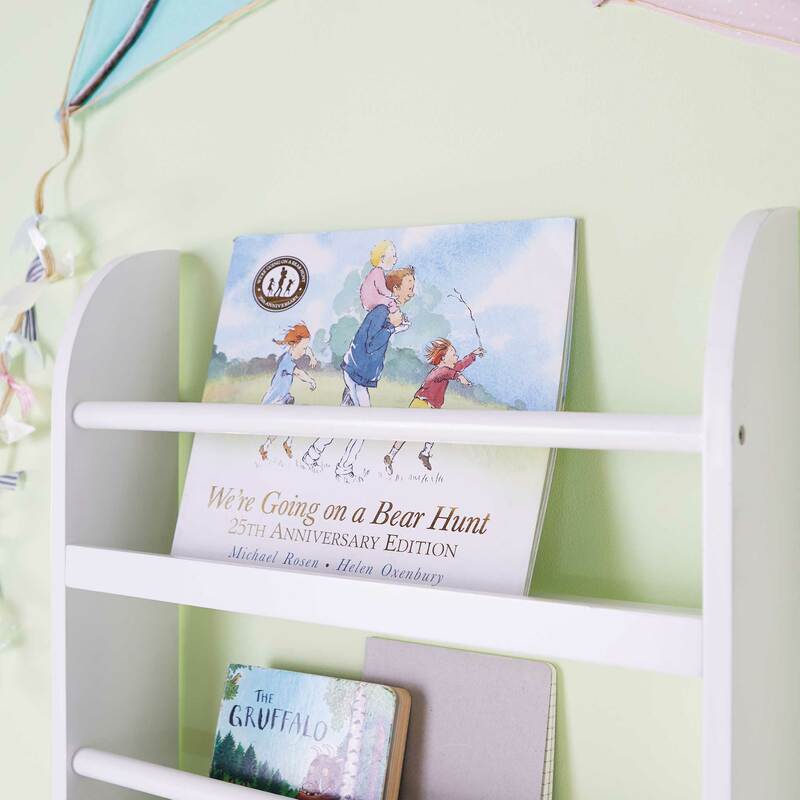 This wall mounted, gallery style bookcase is ideal for storing awkwardly sized picture and toddler books - and it's a real space-saver! It's more practical for younger children and non-readers; displaying the front of the book makes it easier for them to find their favourites. The Skinny Greenaway Bookcase is also available in White; we also stock a wider size which currently comes in White and Cloud Grey. Please note wall fixings are not supplied; you will need to choose fixings that are suitable for the walls in your home. 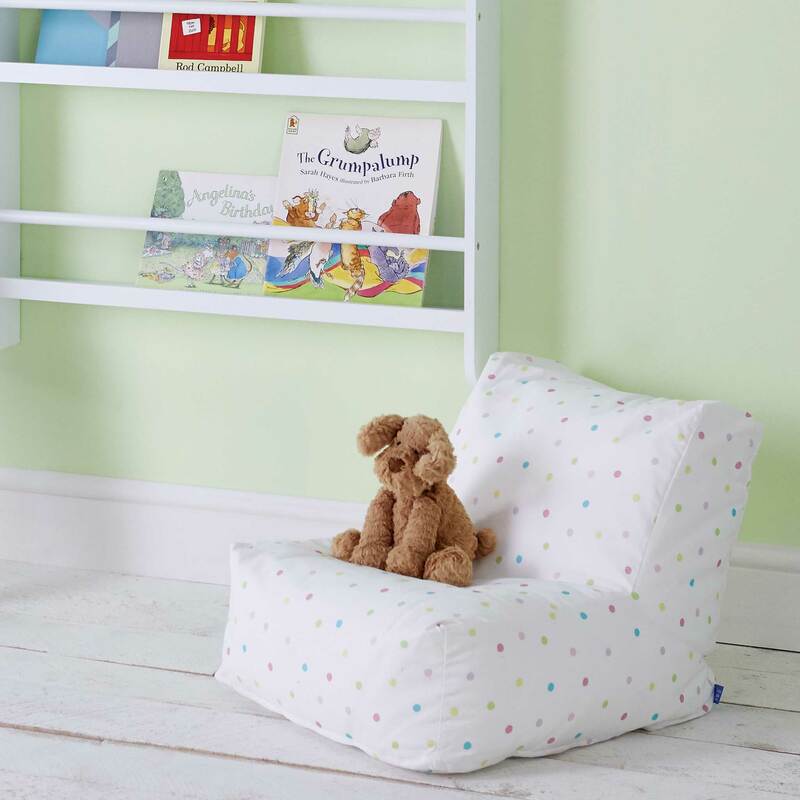 Team up your bookcase with a Bean Bag Chair to make a cosy reading corner in kids' bedrooms and playrooms. 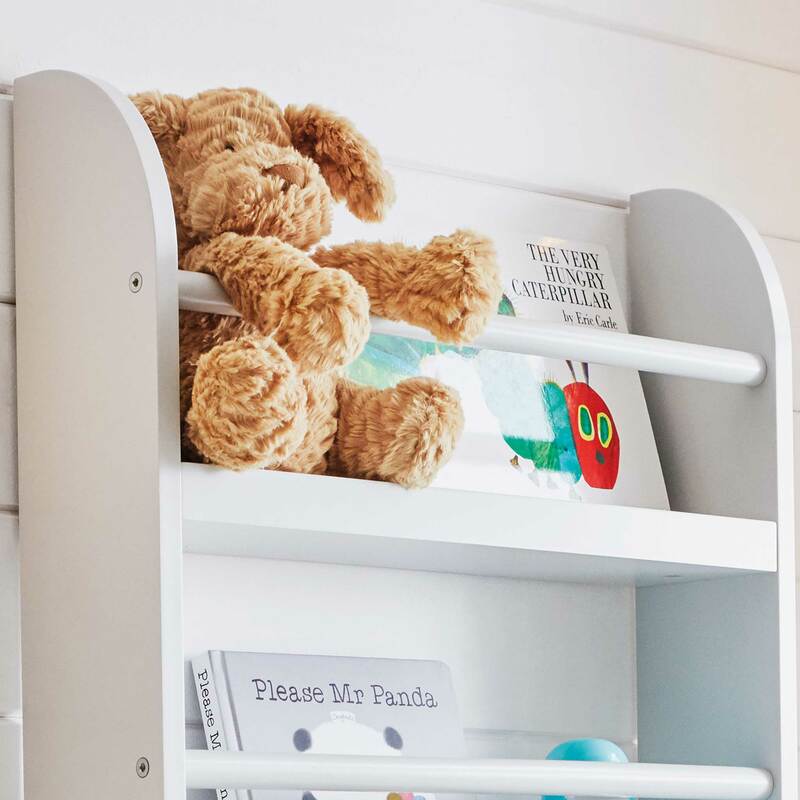 For other, child-friendly book storage ideas have a look at our full range of children's bookcases.